Glowy: 7 Absolute Don’ts at the Pedicure Spa. 7 Absolute Don’ts at the Pedicure Spa. How's your week going? hope smooth..over the weekend, i went to see a movie titled Central Intelligence with my bestie and a line from the movie caught my attention...i will share it with you guys....Kevin Hart was talking to his wife and said to her "you love your job while am good at my job''... it simply goes to say that as an individual, you need to find happiness in whatever you decide to do cos in that, you will find fulfillment. Aii let's dig into the matter of the day. Pedicure. I remember when i wanted to do a post on pedicure, i first threw a question at us, asking when last we had a pedicure and most of the responses were negative..check out the post HERE, and then i decided to share with us a very simple perssonal method of mine which i do if i don't have the space to go to the spa...you can also check that out HERE. 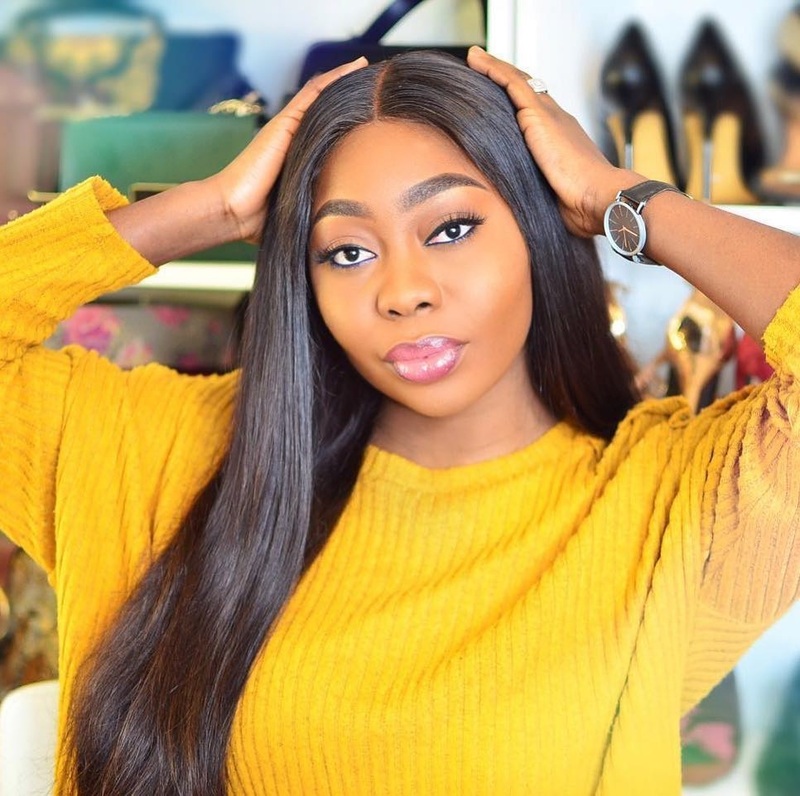 Am a huge fan of clean feets like i admire well pedicured feet that while surfing the net, i bumped into a very educating piece and decided to share with us. it might seem abit lengthy yea but trust me, it's worth the read.. i won't try to edit much so you can digest every word of it. Have you ever heard of Nail Shop horror stories either through friends, in a magazine, or on the news? 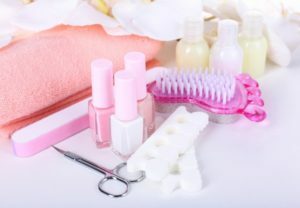 Well ladies, they sadly exist, and it’s up to us to make a good judgment with choosing the right nail salon for our mani and pedi maintenance. Can you imagine coming home to an unstoppable itch on your foot, seeing an open wound turning from pinkish to greenish, learning that a toe nail is turning yellow and it’s visibly threatening to come off, or watching a plantar wart growing on your foot? All these could be signs of athletes foot, skin or nail infection, bacterial or viral infection, a toe nail fungus, and the list can go on and on… But what is most shocking is that all these infections and diseases could be contracted while at that relaxing spa/whirlpool tub and chair. What do you mean, Sasha? How is that so? Yes, Stiletto Dolls, many of these bacterial and viral infections grow and thrive in warm to hot environments; and if the whirlpool in which your feet are being soaked hasn’t been properly cleaned and sterilized, you are at a high risk of contracting any of the infections mentioned. 1. YELP – Take time to search and review the salon you have in mind through the YELP app on your phone. Don’t only look at the overall ratings for that salon, but also dig deep in the comments. 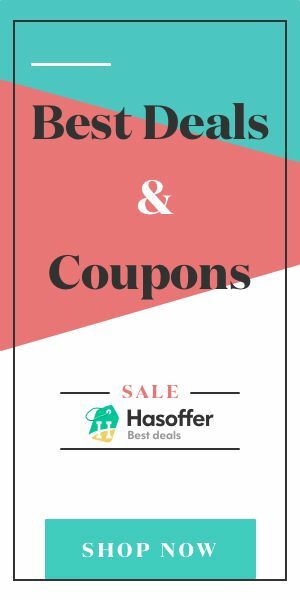 YELP is a great source where people who are dissatisfied with their service will definitely speak up and warn potential customers from even considering a trip to a particular salon if their experiences there were short of excellent. So, next time YELP and read the reviews, as most times they are great indicators. 2. ASK A FRIEND – Referrals are great, especially from people we know. Friends and family will boast about a great product or service to you if they really recommend it. And conversely, they will also warn you from purchasing a product or forbid you going to a nail salon in which they had a bad experience. So, don’t forget to ask your friends and family, as most times they make the best recommendations. 3.KEEP UP WITH LOCAL NEWS – Stay up to date with your local Current Events, and pay attention to any regional reports about outbreaks in your area. Chances are an outbreak, if it is infectious, could be going around in your neighborhood. In this event, stay away from spas at all costs… You can always come back when the infectious outbreak has been contained or a vaccine has been put in place for it. What? Yes, avoid the hot tub as much as you can, ladies. Most nail spas don’t properly clean the tubs, leaving remnants of dry skin, bacteria, or viruses on the surface of the tub or trapped in the rim of the drain. Instead, ask for a disposable pedicure plastic lining to be put over the tub or have a dry pedicure as another alternative. Dry pampering is not as fun, but it can keep your pretty feet safe and healthy long term. Just when you feel relaxed on the chair and your nails and cuticles have been trimmed, now it’s time for the pumice! The spa ladies will recommend this part of your pedicure even if you’re ticklish and can’t stay in your chair, but resist using the salon’s pumice. Chances are they have used it on other people before you, and dead skin, also called DNA, from other customers could have been rubbed into the pumice and could now be rubbed onto your pretty little feet. This is a RED FLAG, as plantar warts can be spread if a salon worker uses the same pumice stone for different clients and HPV makes contact with a break in the skin. To prevent this and many diseases, either request a newly unopened pumice or bring your own to the salon every single time. Shaving leaves micro-tears in the skin, which is a perfect avenue for bacteria which might be floating around the tub area to enter your blood stream. Bacteria such as mycobacterium fortuitum are prevalent in foot baths, and the risk of acquiring such is greater when you have shaved your legs. Women who have been infected at nail spas with this bacteria complain of large boils on the toe, leg, or foot areas, which can turn into open sores or leave heavy scarring after medical treatment of heavy antibiotics. Shave your legs 24-36 hours before your appointment to avoid any skin infections and simply a bad experience at the nail salon. Salon Pedicure InstrumentsHow many times have we walked into a salon empty handed only to sit on a chair to relax and get pampered? Has it ever dawned to you if perhaps you should’ve brought your own equipment? To get better clarity on this, let’s define what sanitize, disinfect, and sterilize mean in a salon setting. In simple terms, to sanitize is to use over-the-counter products that destroy 99% of the bacteria in 30 seconds. To disinfect is to use products that kill all organisms in a period of 10 minutes. 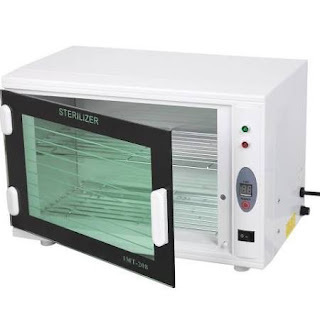 To sterilize is to inactivate or kill ALL DISEASE using chemicals, temperature, gas or pressure. 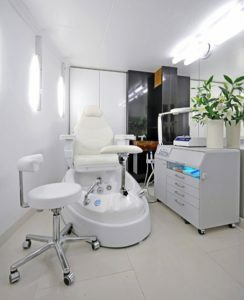 In a typical nail salon setting, an autoclave device should be used to sterilize all the equipment. 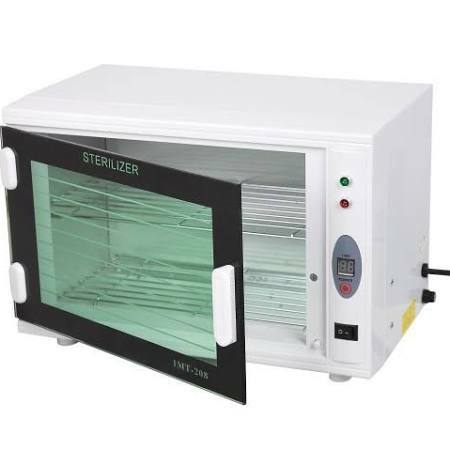 The autoclave method ensures the equipment used is disease free for the use of the next customer. The rule of thumb is if you don’t see the equipment used on you come out from the autoclave, don’t trust it, and refuse it be used on you. AutoClaveBetter yet, to leave chance out of the equation, it is recommended you bring your own pedicure kit to the salon. They are sold everywhere and pretty inexpensive. Remember, Safety First! The best time to get a pedicure is as early in the morning as possible. This is the time the nail spa is the slowest and the cleanest. Why go to the nail salon when it’s slow? When the salon is slow, the personnel have more time in between customers to fully disinfect and sterilize the equipment. When the salon is busy, there’s less time spent disinfecting and cleaning the tub or the equipment, and the emphasis is getting customers in and out as fast as possible. With this said, keep in mind to make your mani/pedi appointments in the morning or on days that the salon may not be too busy, such as on Tuesdays or Wednesdays. 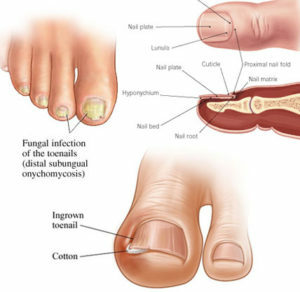 Causes of Toenail FungusAs cute as your toe nails look when the cuticles have been trimmed, avoid doing this. Trimming your toe’s only barrier of protection is opening the gateway to allowing bacteria, fungi, and viruses into your bloodstream. So, avoid having your cuticles trimmed at a nail spa. But if you do your own pedicure with your own equipment, there’s no harm in doing this yourself. The harm is present when you risk coming in contact with other people’s germs, and this most likely can occur at a nail salon. BarefeetThink about this: You just had a warm/hot spa chair pedicure. Your pores are open, and you decide to put your bare feet on the floor or carpet. Imagine all the possible bugs, bacteria, dry skin (DNA), and viruses which could potentially live on the floor and carpet surfaces and that could enter your bloodstream because your pores are open? Instead, bring your own sandals, and refuse to walk on the floor barefoot. It’s not worth it, not even for one second. At the end of the day it’s about keeping your feet pretty, healthy, and comfortable… Cheers! Hian who have time for pedicure? Jeez! You want to make me hate the spa! This article is "scary". We are so pleased and ecstatic you shared our blog, "The 7 Absolute Dont's at the Pedicure Spa" on your site! We hope your fans have loved it too! 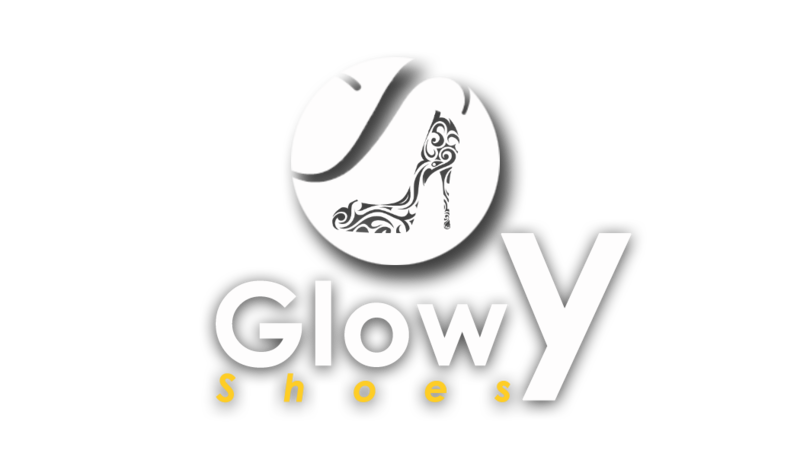 The passion and love for shoes is all over your site, and we love this to pieces!!! You have a beautiful and informative blog, amazing job!